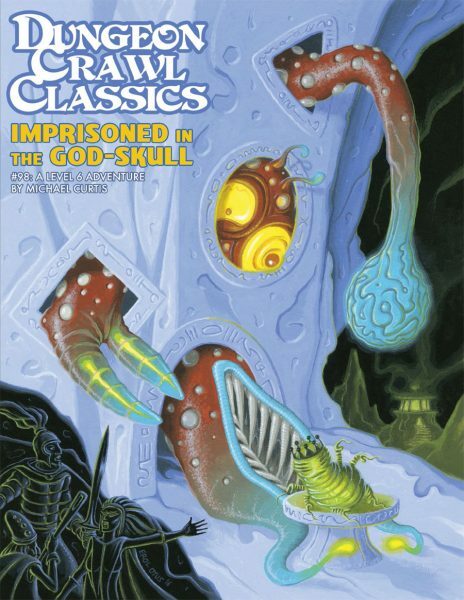 Before the Hypercube of Myt, before The Seven Pits of Sezrekan, before DCC RPG even existed as its own game, the Dungeon Crawl Classics tournament was a much-anticipated event at every Gen Con. 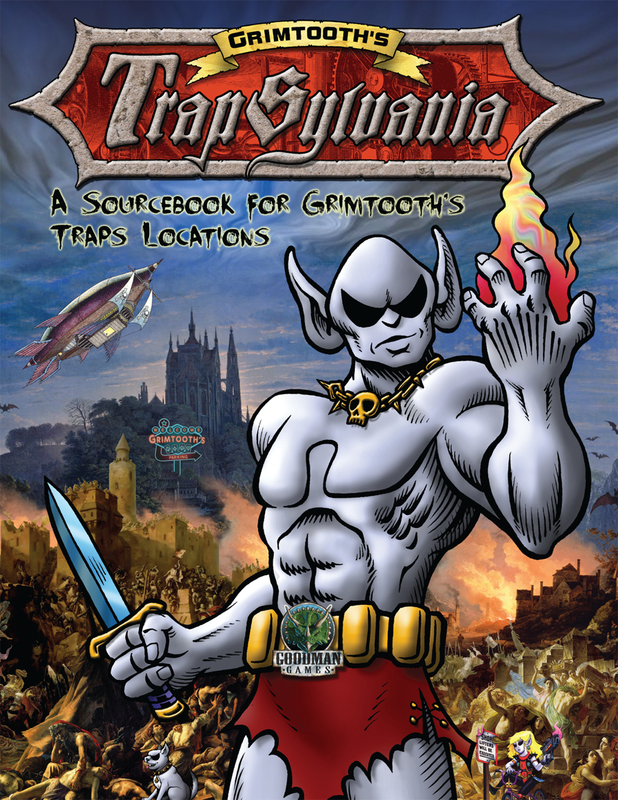 Using all their cunning and conserving resources as much as possible, could your characters survive the perils of whatever killer dungeon the Goodman Games stable of writers cooked up that year? And could they do it better than all the other teams to win the tournament trophies? The question was first posed in 2004 at the first DCC tournament. 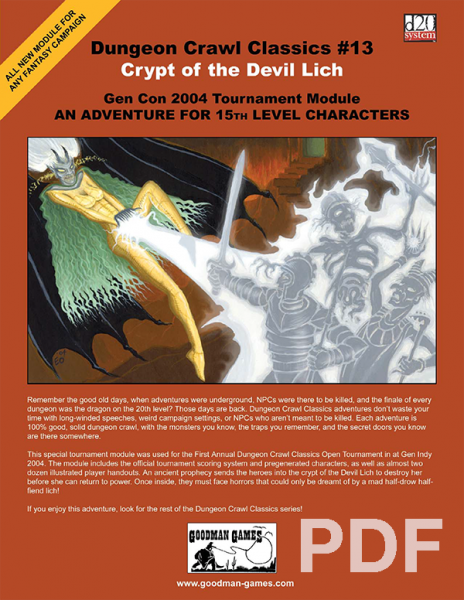 The adventure was a 96-page killer dungeon designed specifically for the tourney that was later published as DCC #13: Crypt of the Devil Lich. 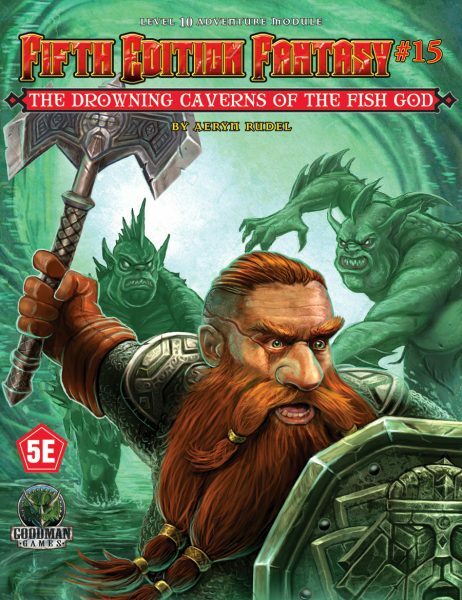 DCC author and former RPGA tourney organizer Chris Doyle met with Joseph Goodman at an Irish pub, and the idea was born. A fury of playtesting followed. 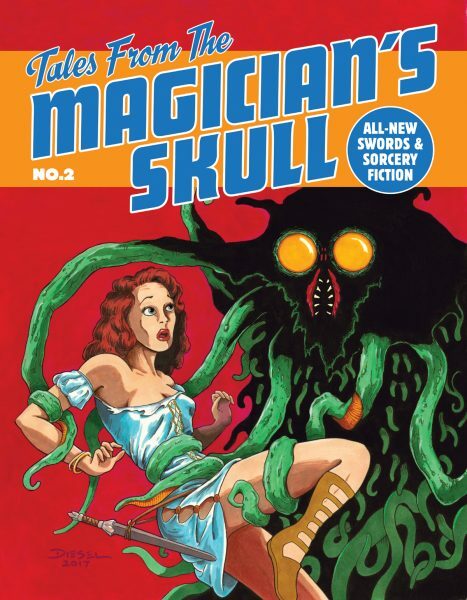 Many of the encounters had to be tweaked, some several times, because they were not lethal enough! “That is why many of the monsters are not standard and required templates,” says Chris. 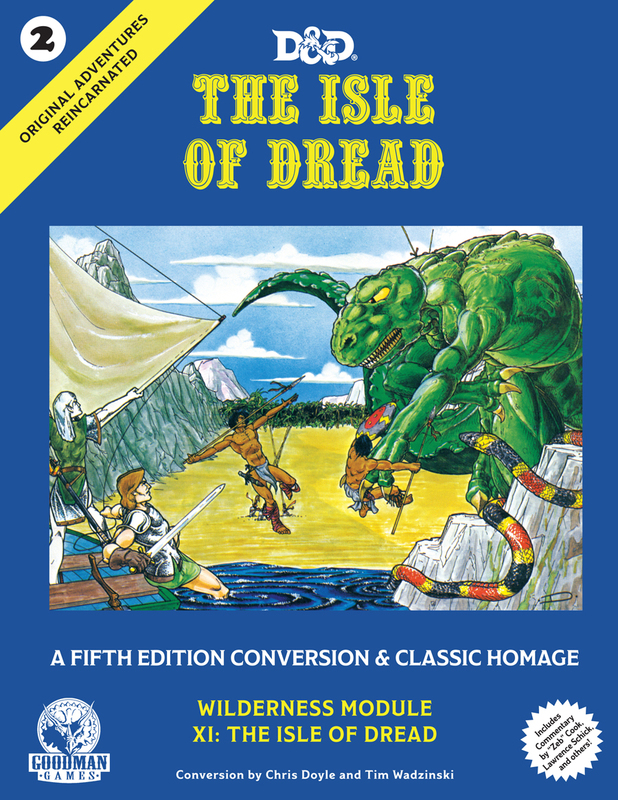 “It is really difficult to kill 15th level 3E characters!” Some of Joseph’s playtest stories can be found in the Publisher’s Note at the beginning of the module. The tournament ended up being quite a success. The Josh O’Connor Experiment (starring original members Josh O’Connor-Rose, Mark Karay, Juan Burriel, Michael Maenza, Dustin Short, and Matthew Filla, and last-round substitutes Andrew Brogan and Tom Caudron) was the first place team. Chris recalls getting quite a bit of negative feedback about how the pre-generated characters were not min/maxed. “The wizard has ranks in acrobatics!” Chris says. “Personally, I dislike min/maxed PCs, and much prefer interesting PC concepts with flaws. That was the intent. 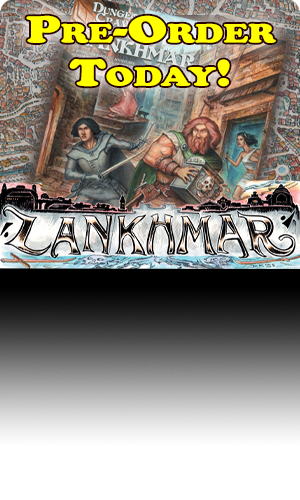 Few realize that all the PCs save the monk were based on 1st edition PCs from one of my home campaigns in the late 80’s. 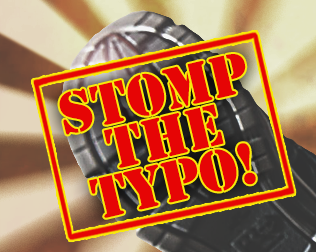 1E PCs don’t translate very well to 3E, but the concept was that is part of the challenge, and despite the griping at GenCon, it worked.” Joseph’s thoughts on the tournament can be read in this thread on our forums. Chalychia the devil lich miniature – a rare DCC collectible! 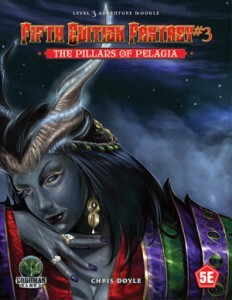 The Pillars of Pellagia: a prequel to Crypt of the Devil Lich!